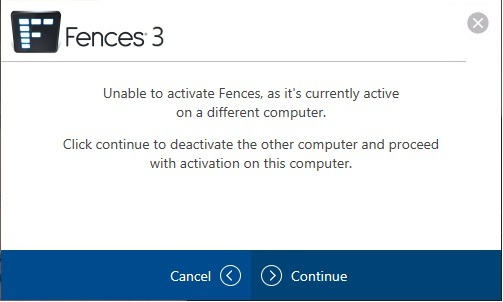 I purchased Fences through Steam and have now reached my 5-license limit. PM me the long steam number from the error. There isn't an error code as such, it just says I have run out of licenses and gives me the option of entering a new license key or starting a 30-day trial. What I want to do is review my 5 activations and remove the ones I don't need any more, thus freeing up the licenses for this install. There isn't an error code as such, it just says I have run out of licenses and gives me the option of entering a new license key or starting a 30-day trial. Following this screenshot I am given the option of entering the key or starting a trial.